The capital of the Bosnian Serb Republic may soon become the official “city of women”. The “Banja Luka – City of Women” project includes the construction of a door at the entrance of the city (in the north) guarded by two statues, representing women, named Nada (Hope in English) and Zora (Daybreak). So, the statues would welcome the tourists and this could result in an increase of 50 million Euros of the turnover linked to tourism. 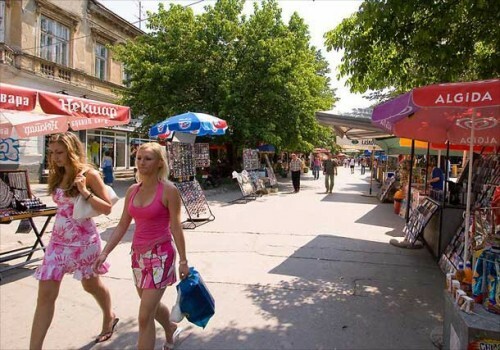 If the project comes to an end, Banja Luka will be the only city of women in the world. This will result in a title which will be mentioned in all guidebooks. During one of the many planned festivals, the tourism experts have estimated that revenue from tourism in the “city of women” could reach 35 million Euros for only one week. They are convinced that investments regarding tourism improvement in the city would be reimbursed in one year. There are seven times more women than men in Banja Luka. The beauty and charm of women from the capital of Serbian Republic of Bosnia are known throughout the region and that is why the idea for the project “City of Women” occurred. Draško Mikanović is behind the project. A door should be built at the entrance of the city in the north and also between the municipalities of Banja Luka and Laktaši. The statues of the two beautiful women, Nada and Zora, would reach a height of 18.5 meters and would be located on either side of the highway. Stands would take place near the two statues and a huge restaurant should be constructed above the highway and between the statues. The statues would be made of white stone and covered with a special paint that shines and changes according to light variations. The paint would also be fluorescent in order to shine during the night. In addition to the visit of the beautiful city of Banja Luka, tourists could also visit the door and the two statues. Do not forget to follow us on twitter, to join our facebook page or add our RSS feed. Kosovo: a tourist destination for Americans? Posted on April 22, 2013 by Allo-Balkans. This entry was posted in Bosnia and Herzegovina and tagged banja luka, culture, tourism. Bookmark the permalink.